Are you looking to clear your overgrown garden? Or do you need tree felling services? 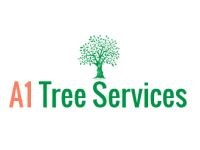 A1 Tree Services is the name you can trust for complete tree services. We are expert team capable of handling both domestic and commercial services. Whether you need tree feeling and removal or garden clearance and maintenance, we can help. In addition to tree surgery we also undertake landscaping and fencing services.